ST. GEORGE — During its first charity gala ever, The Learning Center for Families celebrated 25 years of operation with an elegant event that included an auction, food, tears, laughter and perhaps most important, a new identity. “As we’ve grown through the years, we’ve recognized recently that we have also outgrown the name of our organization,” Leonelli said in a video shown at the gala for the unveiling of the new identity. 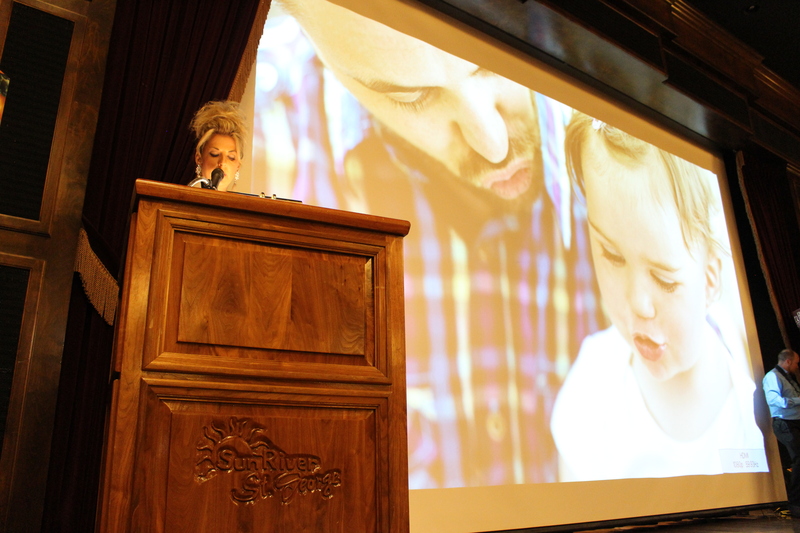 Before revealing the new name, Leonelli announced the recipients of this year’s awards, including presenting Outstanding Donor to Heather Carson, a graphic designer of more than 20 years who also helped with the rebranding of TLC to Root for Kids. St. George Area Chamber of Commerce for Outstanding Community Partner. Guild Mortgage for Outstanding Business. Dixie Regional Medical Center neonatal and intensive care unit for Outstanding Health Partner. Laura Keefe for Outstanding Volunteer. Leonelli also announced a new award: the Debbie Justice Legacy Award, named in honor of the founder of TLC, Debbie Justice. 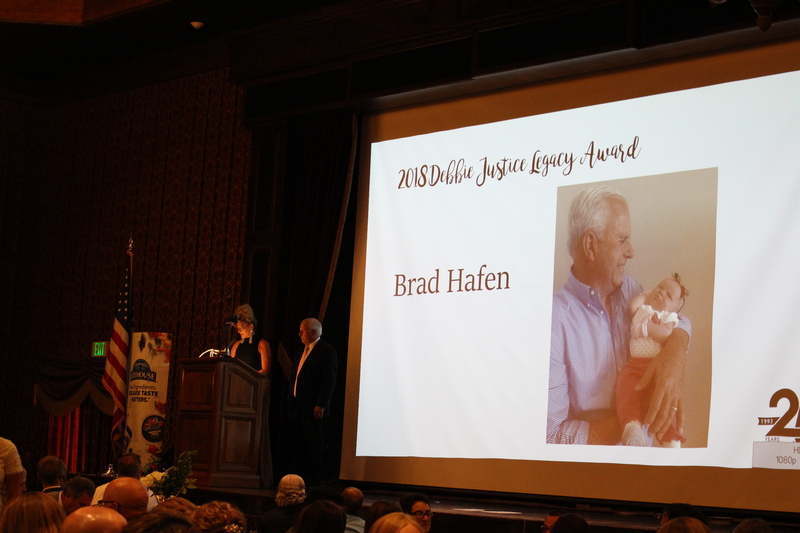 The first recipient for the Debbie Justice Legacy Award was Brad Hafen, a St. George insurance salesman who has provided over a decade of service for TLC. “It has been a real pleasure to see the good TLC has done over the years,” Hafen said after accepting his award – a piece valued at approximately $1,600 that was sculpted and donated by artist Matt Clarke. 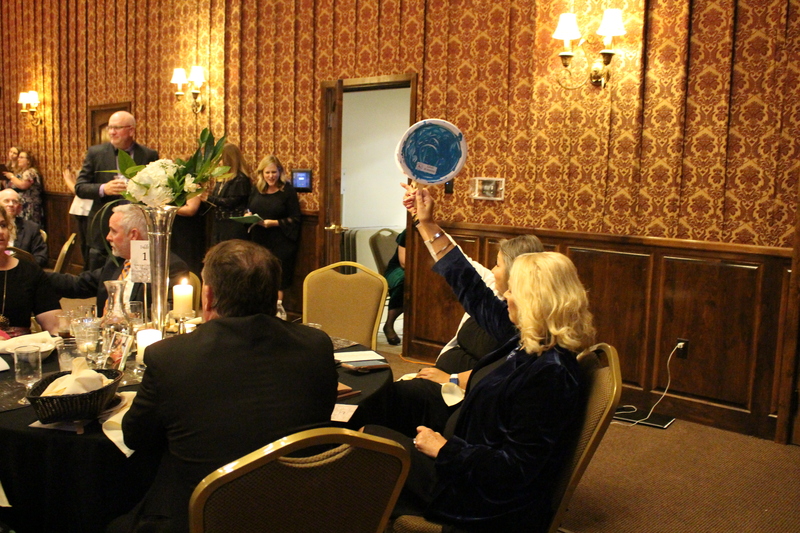 The evening also included a silent auction, which featured baskets with goodies from multiple companies such as Squatty Potty, I Heart Oils, Mack & Sons Jewelers and Tuacahn Center for the Arts, and a live auction with Ed Tracey as auctioneer. The paddles guests held up during the night were painted by children from Root for Kids. Although the exact amount raised during the night hasn’t been calculated yet, Leonelli said, an estimate of more than $30,000 was raised after a man in the crowd held his paddle up to donate $5,000 and award winners Keefe and Hafen presented a large check of $25,000. The night’s festivities also featured special guest Thurl Bailey, a retired NBA player whose career spanned from 1983 to 1999 playing for the Utah Jazz and the Minnesota Timberwolves. He also played overseas in Italy. Now he’s an inspirational speaker. Bailey spoke about his career and the journey it took to finally be picked as a player for his high school basketball team. He said he was cut from the team the first two years he tried out. He finally made the team the third year he tried out. The night ended with Bailey singing a couple of songs with guitarist Jonni Lightfoot, who has toured with the band Air Supply. St. George Mayor Jon Pike also joined the stage to sing a duet with Bailey. To signify its new motto, Root for Kids gifted flower bulbs to the guests to be planted in the fall and watch them bloom in the spring. 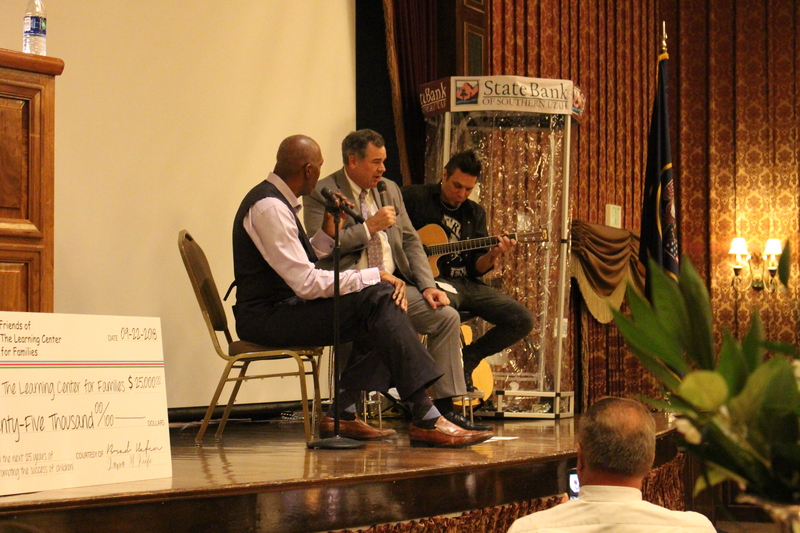 Bailey also gave his CD “Love Shines Through” to all of the guests. 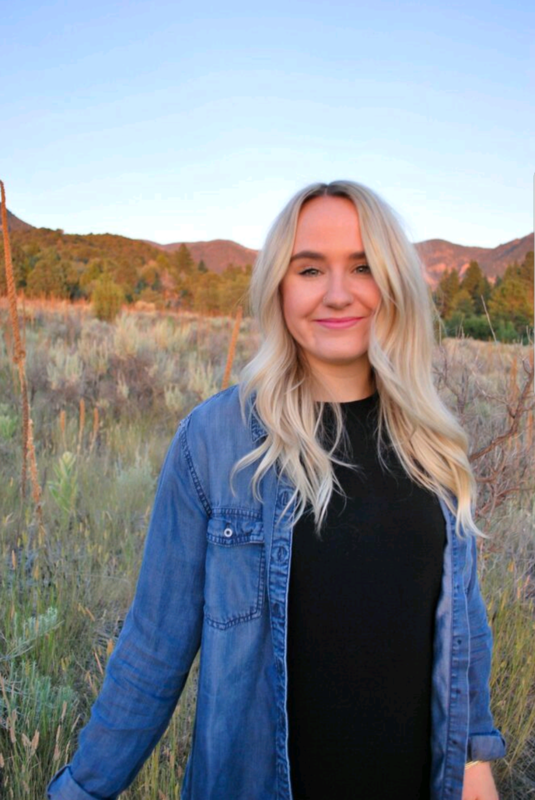 Root for Kids will host an official ribbon cutting and open house Oct. 15 to celebrate its new identity at its location, 2044 Mesa Palms Dr.
To learn more about Root for Kids and its mission, go to the organization’s recently launched new website.